Astronomer Scott Kelly spent a year in space and returned a changed man. 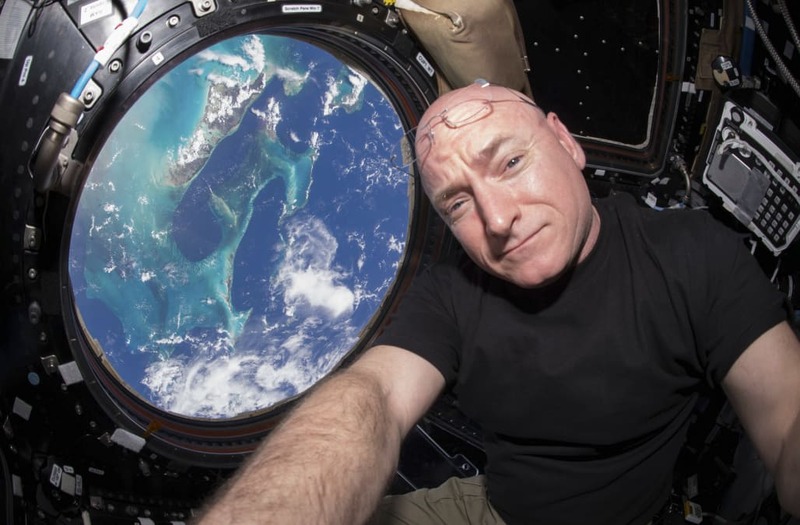 Kelly, who lived on the International Space Station while his identical twin Mark Kelly stayed on Earth, returned after 340 days with 7% of his genes altered, according to NASA. The shocking transformation means Scott is no longer genetically identical to his twin. “This could be good news! I no longer have to call @ShuttleCDRKelly my identical twin brother anymore,” he added. Some changes — like the lengthening of Scott’s telomeres, or the endcaps of chromosomes that shorten over time — reversed once he was subject to Earth’s gravity again. But other changes persisted after six months. Researchers found a deficient amount of tissue oxygenation in Scott’s cells, along with stress to mitochondria, which transform nutrients into energy, and increased inflammation. Scott, who became the first American astronaut to spend a year in space, returned to Earth in March 2016. The Twin Study, seen as the ultimate test of nurture versus nature, “may prove useful in the development of new treatments and preventive measures for related health issues on Earth,” according to NASA. Scott Kelly ‏(@StationCDRKelly): "Day 212 Getting my game face on for #spacewalk Thanks for sticking w me #GoodNight from @space_station! #YearInSpace"
Scott Kelly (‏@StationCDRKelly): "Teamwork! @astro_kjell and I working outside @Space_Station with @Astro_Kimiya inside getting us safely out the door"
Scott Kelly ‏(@StationCDRKelly): "Coming back in yesterday. Still trying to wrap my head around why we call it #spacewalk, not spacework. #YearInSpace"
Scott Kelly (‏@StationCDRKelly): "#FlashBackFriday Last Friday #spacewalk. Seems like I've held this position all week but on the inside. #YearInSpace"
Scott Kelly ‏(@StationCDRKelly): "#ThrowbackThursday I admit, last week I took a #selfie at work. #YearInSpace"